The crux of the story revolves around the main character, Kaitlin returning home to Oregon after a year studying in Europe. Over the course of the game you read diaries, notes, discarded memos, etc. These gradually uncover the events of Kaitlin's missing year. The major focus of the plot is Kaitlin's sister, Samantha coming to terms with being a teenager and a lesbian. Sam starts out high-school as an asocial recluse. Soon enough she befriends the punk rebel Lonnie. By the end, both girls realize their feelings for one another but are seemingly destined to part as Lonnie prepares to join the military. In the end, Lonnie cannot leave and the two decide to run away together, to face the future. This was touching and really captured Sam's struggle to understand herself. It is funny, a bit sad and quite a romantic tale. Personally, I found myself engrossed in the life of Terrence, Kaitlin and Sam's father. There is nothing particularly captivating about Terry but I was still drawn to him and kept wanting to see how his arc would develop. He is a struggling author living in the shadow of his own father, a laureate professor of English. While his father writes critiques of James Joyce and all the other literary greats, Terry has only managed to pen two James Bond wannabe thrillers. On top of this, Terry is struggling to deal with the ever widening gap in the relationship between his wife and his daughter. Ultimately, there is a glimmer of hope as Terry finds a new publisher and renewed inspiration to write. While the ending was by no means a happy one, I was still wishing it would have taken a different route. Instead of the teenage lovers running away, I thought it might have been more poignant if Lonnie had gone on to basic training thus her and Sam's relationship would have ended. Sam would then be able to carry on her life with a new found perspective and a fuller sense of who she is. She would be ready for the world, even if it meant being alone. Well, that's what I thought. 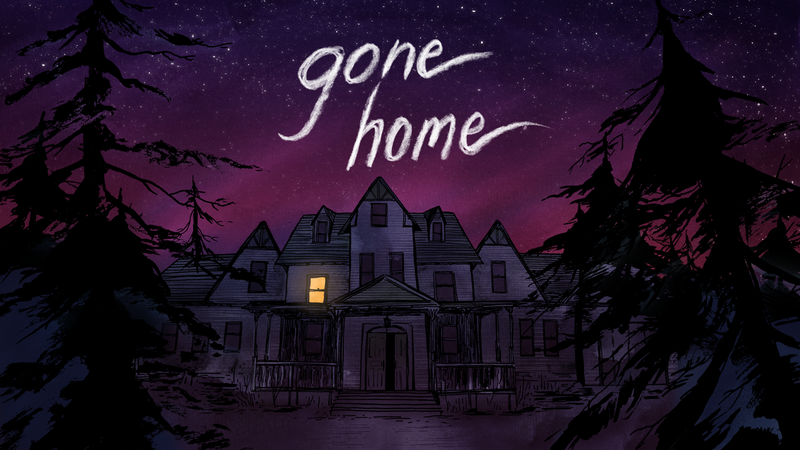 If you have a few hours to kill and are looking for a slow paced, anxiety-free game with a memorable story, check out Gone Home.